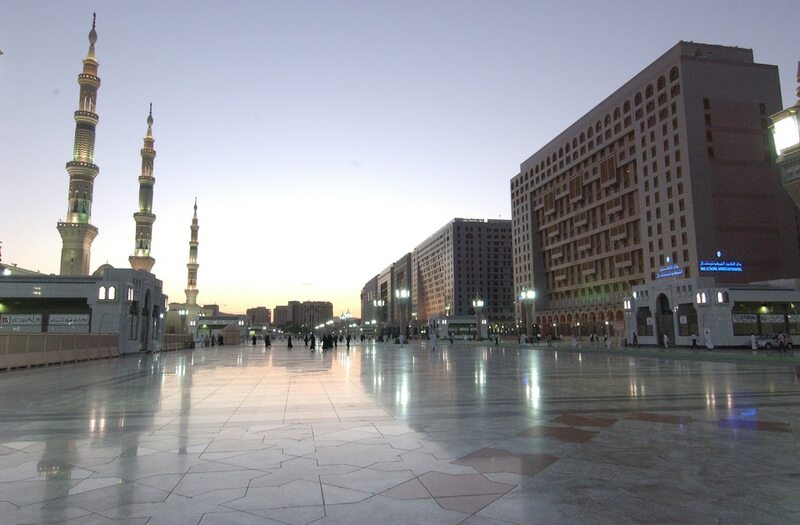 With a stay at Dar Al Taqwa Hotel in Medina, you'll be just steps from Al Haram and 14 minutes by foot from Prophet's Mosque. This 5-star hotel is 0.4 mi (0.7 km) from Bin Dawood and 1.7 mi (2.8 km) from Baqi Cemetery. Make yourself at home in one of the 194 air-conditioned rooms featuring refrigerators and LED televisions. Complimentary wireless Internet access keeps you connected, and cable programming is available for your entertainment. Private bathrooms with shower/tub combinations feature complimentary toiletries and hair dryers. Conveniences include safes and desks, and housekeeping is provided daily. For lunch or dinner, stop by Al Marwa Restaurant, a restaurant that specializes in international cuisine. Dining is also available at the coffee shop/café, and 24-hour room service is provided. Breakfast is available daily from 7 AM to 10 AM for a fee.